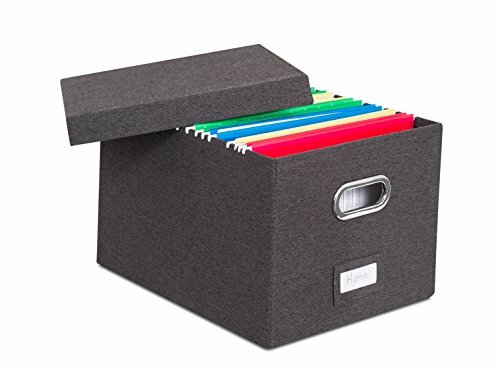 Internet's Best Collapsible File Storage Organizer is the perfect storage box to store all important documents, folders and paperwork while still providing a soft accent to the room with its decorative design. The storage organizer may fit both letter and legal-size files/paperwork. The storage container collapses down simply for easier storage when not in use. The collapsible storage file bin is equipped with easy access carrying handles and is extremely durable for stacking multiple filing boxes on top of one another. It is also equipped with a label window for simple organization and may be used for storing toys, closet accessories and other items outside of files.